Hippie clothes. Bohemian clothing. 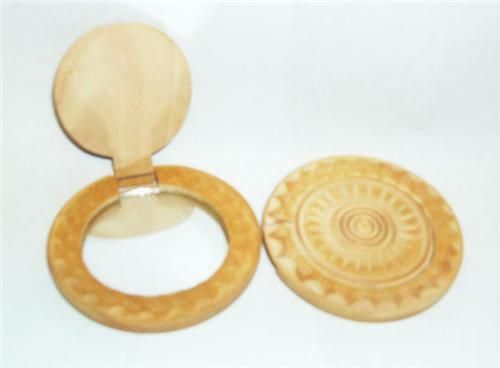 Handcrafted by artisans in India, these are beautiful compact makup mirrors with exquisite carved wood embellishments. The middle section flips up to reveal the mirror. Very handy decorative mirror to keep in your purse.